If you're going to develop a history of rock and roll there is only two place's to start. That's either the blues or rockabilly. Since the rockabilly music was my first influence I'll go with that. When you look in the rock dictionary for Rockabilly music you won't see a definition. 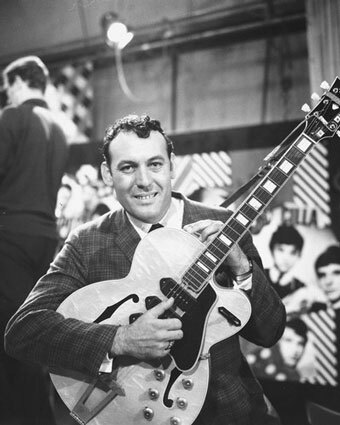 Instead you'll see a big old picture of my man Carl Perkins. To me, he is Mr. Rockabilly. No ifs, ands, or buts. He is "The Man". 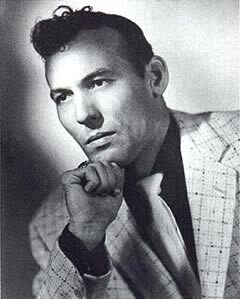 My first 45 rpm record was by Carl Perkins. "Match box". "Well, I'm just sittin' here wonderin', would a match box hold my clothes". I have no idea if those are the right words but they are the ones I remember. I think "True Love" was on the flip side. That was about 1955 or 56. I remember the little 45 only record player. It must have been made for Elvis or the chicks because it was pink, black and portable. Carl was from Jackson, Tennessee where he and his brothers played the local beer joints. Elvis and others were getting started just a few miles down the road in Memphis. There is no doubt in my mind the rich soil of west Tennessee's delta grew rock and roll. 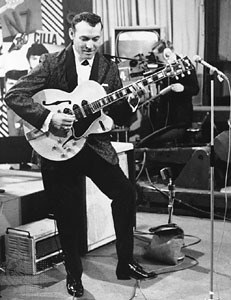 Carl Perkins with his blue suede shoe. Biggest selling record. It occurs to me, Elvis had the looks and the moves but Carl had the licks. In these music articles we intend to take advantage of the new digital internet world. This blog will not write a great deal about the artists. Instead we hope to supply the reader with links to tons of information and music. I hope everyone enjoys this series as much as we enjoyed the research. Good headphones helped. Antoine Dominique "Fats" Domino, Jr.